The good thing about owning a house is that there is always room for improvement and you can never actually be done with all the little upgrades here and there. When it comes to a more serious work, there are few things on the exterior that can match the significance garage doors have. 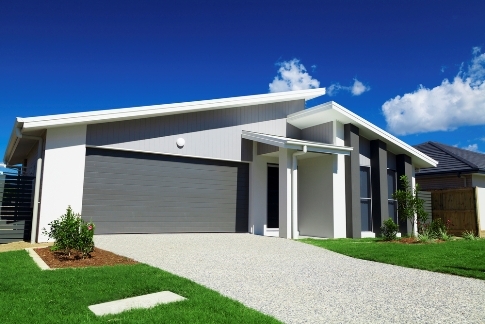 Garage doors are at the forefront and a key factor in determining the first impression which directly affects people’s attitude towards the whole property. With the help from guys at Rockstar Garage Doors we’ve summed up a number of improvements for your garage doors which are going to help you increase the looks and value of your home. People try to look good when they go out , they wear nice clothes and makeup so they could leave a good impression. Same rules apply to the exterior of your home which plays the major role in presenting the house to the whole world. This upgrade to your garage doors, which take up about 40% of the scenery, will increase the appeal of the curb and subsequently generate a greater value of your home. Not only would your house look increasingly beautiful, but the selling value would increase simultaneously. You can either remodel or replace the doors. If you’re not sure whether it’s a good idea to invest in repairing them, consult a reputable local garage door service. Replacement is a much better option because you can buy a completely new model to define the exterior. New doors bring also many modern updates both in terms of functionality and security. First you need to determine what kind of style you want, do you lean towards more traditional or modern looks, you can even make up your own thing. Then you need choose which materials to use, wood, glass, aluminium, etc. Whatever you decide, you are free to experiment a bit and give your house an updated, and personalized appearance with a unique touch to consequentially revitalize the whole area. This is where you get to be playful and creative. The choice of color will determine how visually impactful the doors are going to be, if you want them to stand out and be the focus of attention, then some bright and vibrant colors would do the trick or maybe you prefer a more subtle approach and make the doors less striking. However you decide the color of garage doors will direct an overall tone of the property, and also, different colors send different messages, try to be innovative and original but at the same time avoid being that weird and eccentric neighbour. The goal is to balance things out and do right by the style you pick. When you’re done with coloring you can add more accessories and detail to the frame. Go for green, natural looks by adding plants, decorative rocks, wood motifs for a more organic theme. If you want to opt for a more industrial vibe incorporate brick walls and various other ornaments made of steel, glass or wood. Driveway is also important and its overhaul would complement the whole picture very well. Yet another way to add more to the looks of your garage doors. A good lighting layout will not only accent the project and add another dimension with interesting light and shadow details, but functionality and security aspect would benefit as well. When your done with with your new garage doors, you can translate these aesthetics to your front door as well and achieve a unified style to characterize the entirety of the house. This shows consistency and stability, and those two virtues are always highly valued.